ALL OF YOUR SKIN CARE NEEDS! New Year, New Treatments, New You! and get a 2nd one FREE!!!! The first and only FDA-approved nonsurgical treatment that contours and improves the appearance of your double chin! Dr. Lawrence J. Finkel--Warrenton and Fauquier County's most experienced dermatologist with over 25 years of experience. Need a full body skin check? Welcome to MedSpa 360. Our licensed clinical esthetician, Heather, is here to help you have an exceptional experience and to answer all of your questions about your skin care needs. During your complimentary consultation, Heather will educate you about the variety of cosmetic treatments, procedures and products that are available and help you determine the ones that best suit your needs and skin type. In addition, she can also address non-prescription treatments and products for mild acne and brown spots including silk peels and chemical peels. The combination of knowledge and professionalism allows our esthetic team to unveil your inner beauty. Our latest and greatest aesthetic service is Infini - a radiofrequency system that delivers energy through insulated microneedle tips to tighten skin, eliminate wrinkles and reduce scarring. The balance between power levels and exposure times make Infini the ideal Radiofrequency Skin Tightener with minimal downtime and discomfort. Predictable and dramatic rsults are now possible!!!! 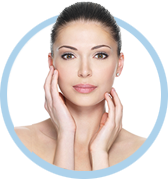 HydraFacial delivers instant and long-lasting results that you can see and feel. 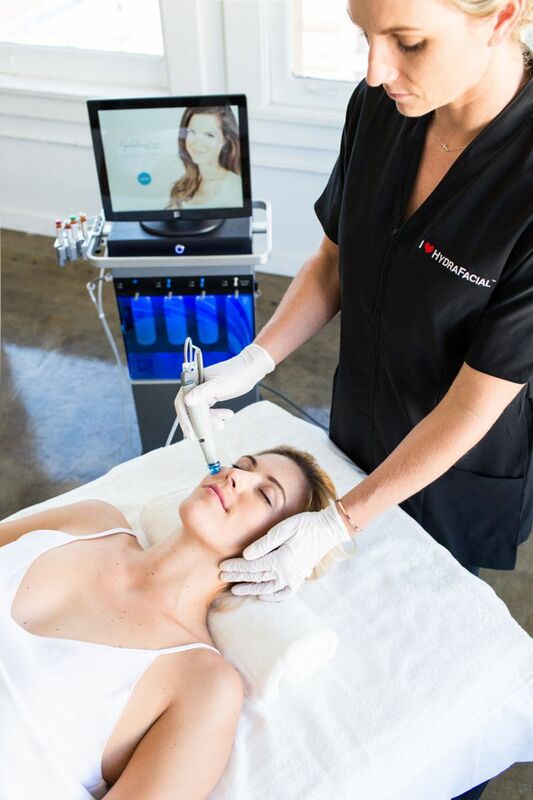 Only HydraFacial uses patented technology combined with nourishing ingredients to create an instantly gratifying glow. The treatment addresses all skin care needs: fine lines and wrinkles, skin texture, elasticity and firmness, brown spots, even tone, oily skin and acne and enlarged pores. Frequent treatments help restore skin health. NEW TO MedSpa 360!! SkinLuma Meladec Decolletage Renewal Peel acts on desmosomes--which bind together corneocytes in the stratum corneum--and does not burn, wound or injure the skin. The peel is painless and has a low risk of post-inflammatory hyperpigmentation, making it a viable aesthetic option for patients with darker skin types. It is supplied as a kit that combines in-office procedure products with comprehensive patient home care. Intense Pulsed Light Therapy (the Clareon System) is available to treat acne, sun damage, wrinkles, pigmented lesions (brown spots), vascular lesions (spider veins), rosacea and unwanted hair. This treatment is safe and quick with little discomfort or downtime. For your convenience, we offer package pricing for most of our cosmetic services. We use the latest professional equipment and devices to improve your skin’s appearance. Our Silk Peel Dermal Infusion System is a vast improvement over traditional microdermabrasion. It is particle-free, painless and offers a targeted approach to acne, large pores, brown spots and sun damage. It leaves your skin feeling fresh and rejuvenated. A series is recommended for optimal results. We offer the next generation of multi-functional, non-wounding peels from Young Pharmaceuticals that will improve fine lines and wrinkles, improve texture, hyperpigmentation and decrease pore size. The Melanage Peel is offered in two forms--the Mini Peel, for those with minor hyperpigmentation, fine lines and wrinkles and the Mini Peel HP, for those with more significant hyperpigmentation and photodamage. Especially beneficial for darker skin patients. Safe for all skin types. Both peels include their own post care treatment products specifically designed to prolong the benefits of the peel. MedSpa 360 offers two different facial experiences. Our 360 Signature Facial is the ultimate facial that is all about relaxation and radiant skin. This facial is customized to your skin's needs whether it needs clarifying, hydrating or rejuvenation. It combines a heavenly neck and shoulder massage with the cleansing, toning, exfoliating and hydrating of your skin. Our 360 Acne Facial helps to improve your complexion with gentle exfoliation and extraction of clogged pores. Finish with a relaxing masque to improve testure leaving a healthy glow. We offer complimentary group consultations. Bring your girlfriends and the group can talk about what you want to do to help your skin look and feel better. Enjoy a full body airbag chair massage as an add-on after your soothing facial or Silk Peel in MedSpa 360. The zero gravity experience will relieve tension, stress and muscle discomfort along with promoting relaxation. This allows improvement to circulation and blood flow while enjoying a full body chair massage. The heating modules gently warm up to gradually reduce pain and tightness. This ultimate indulgence can be customized with 4 different massage techniques and 3 different lengths of time. Relax and enjoy a 45, 30 or express 10 minute massage. Did you know we do Medical Ear Piercing for all ages? Keep that warm summer glow all year long!